An idea emerging from Manchester’s inaugural Sines & Squares Festival in 2014, initiated by our Guest Editor, forms the core of the topics explored in this issue, with focuses including the dramatic resurgence of interest in modular synthesis, its role in live performance and fixed media composition, design, patching and methodology. The key concepts behind modular analogue synthesis provide a foundation for an understanding of a very wide range of synthesis techniques available today. 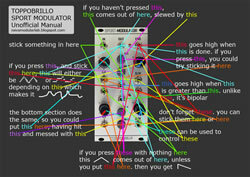 This article assumes some familiarity with most basic modular modules such as an oscillator, amplifier, filter, ADSR, ring modulator, etc. 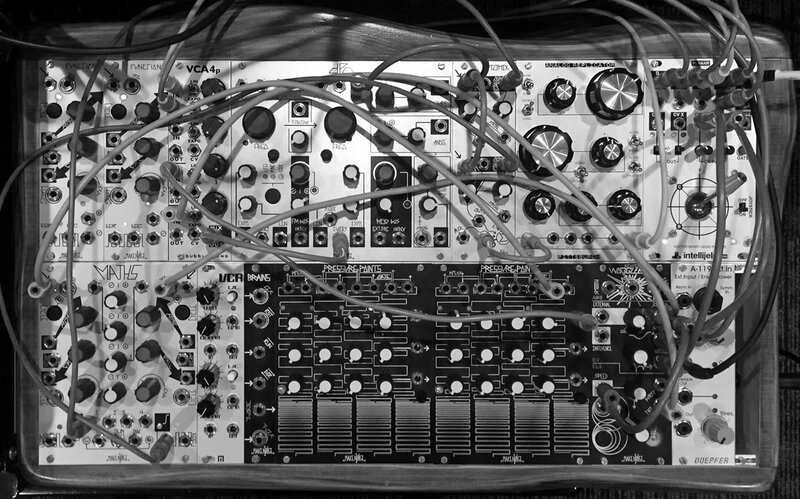 The design of a modular synthesis workshop first held at OBORO (Montréal) in November 2015 aimed to combine theoretical considerations, practical examples, performances, free explorations and co-creation on equal footing in order to foster a revised approach to modular synthesizers. The Serge Voltage-Controlled Slope is a popular utility circuit, packing a lot of functionality into a single module, including: envelope generation, LFO/VCO with linear / exponential / logarithmic waveshapes, voltage following and slew-limiting. Tim Stinchcombe gives a detailed technical explanation of how some aspects of the circuit actually work. 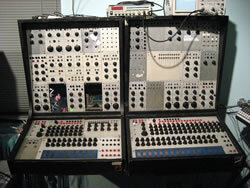 The design of sound synthesis instruments developed specifically for electronic music requests an open and “modular” approach. Rob Hordijk goes briefly over the different steps it takes to develop an original idea into a complete instrument ready to be played. 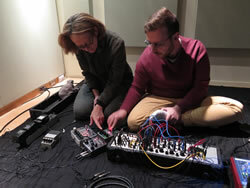 Motivated by a baby’s uniquely intuitive approach to toying with a stereo, Peter B recuperates a mysterious oval synth, with two giant knobs, that caters to "pre-lingual" gestures. He describes intuitive instruments that process torque gestures, using nobs, or non-knobs. 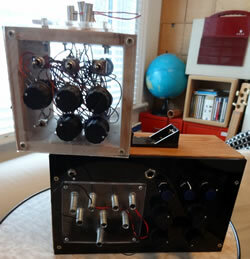 You wouldn’t put frets on a violin, so why make a modular synthesizer something it isn’t? For Navs, blogger, modular musician and co-host of a concert series dedicated to improvisation with modulars, we only need some common grounding to make interesting music with these instruments. Drawing from theoretical thinkers such as David Gauntlett, Andrew Duff expands on the concepts of “cultural” and “social” capital, putting them into perspective with his experiences interacting with the muffwiggler.com community as he developed and built his own instruments. 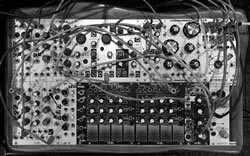 Electronic musical instruments have by and large resisted effective integration into ensemble performance contexts, but the modular synthesizer may present a unique potential for assisting users to overcome the hurdles that have plagued electronic composers and performers for decades. 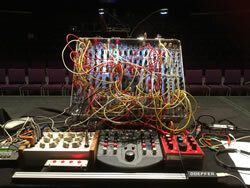 An approach to performing with analogue modular synthesizers is described which involves managing the complexity by conceiving the system as an ensemble of autonomous agents. If the 1960s modulars of Buchla suggested new interfaces, the 1970s saw the simpler Moog paradigm flourish and the synthesizer became entwined with the keyboard. The impact and affordances of the keyboard are discussed, alternatives considered, and future directions are outlined. Voltages determining time within analogue systems can be modified by other musical values expressed in voltage terms. Making time relative and not dictatorial to other materials produces musical structure and development impossible through clock and time quantization methods. 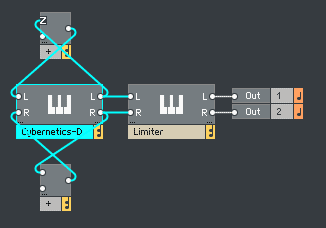 Modular formats allow the evolution of unique instruments, particular to the individual builder’s whims. 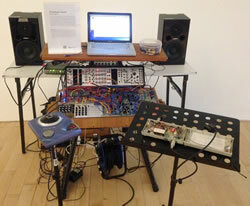 Joseph Hyde’s synthesizer “ensemble” has eight disparate analogue voices, each having a discrete channel in an octophonic setup. These are kept in check — and in tune — using a hybrid analogue/digital approach. In the world of analogue synthesis, unpredictability brings animation, expression and life to not only sound but also to the compositional process. 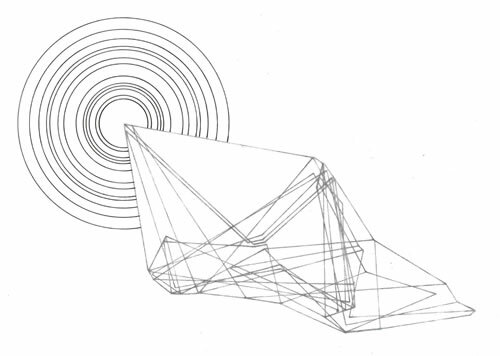 It was an essential component of the creation of a set of hand-drawn graphic scores for modular synth or improvisers. Offering some personal reflections on different methods of integrating the sounds of modular synthesis into her compositions and on the feel and design of some synth modules, Chelsea Bruno also describes her experiences as an improviser, performing as Eden Grey. The implementation of an iterative system of brainwave-sensing hardware that manipulates a Eurorack modular synthesizer in a performative and improvisational space fosters a discourse around Music Technology and the psychology of the individual as a creative being. 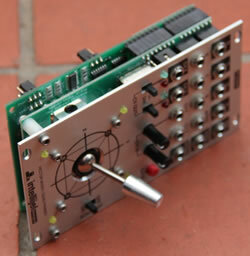 The No Input Software Environment is a modular synthesis programme that emulates a no-source mixing desk. This system instantiates an ecosystem of sonic entities, which interact in an autopoietic milieu, providing us insights into second-order cybernetics. A discussion of the reconstruction of Bernard Parmegiani’s Stries and the challenges and interpretation that go into recreating an analogue work on a digital modular synthesizer. Improved documentation of historic works will help performers more easily incorporate them into their repertoire. Putney is an interactive media project that explores the creative thresholds between real, virtual and augmented worlds through the medium of a virtual VCS3 synthesizer. 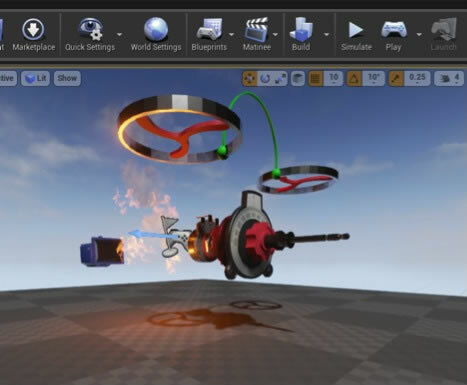 It pursues the connections between modularity, hybridisation and extended reality informed by the “modular metaphor”. 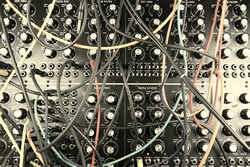 A traversal of some common and less common themes and misconceptions that emerge from discussions about analogue and modular synthesis, including resurgence, obsolescence, “analogue sound”, higher and lower functional modals, interface, objectness and futurism. The following audio/video works are found in one or more articles in the present issue and have some relation to the theme.